Jim Smith has been training athletes and writing fitness articles since 2001. He is an expert writer for "Men's Health," "Muscle & Fitness" and "Men's Fitness." He holds a strength and conditioning specialist certification with the NSCA, is certified RKC through Dragondoor and is Westside Barbell certified. Smith holds a Bachelor of Science in physics from Mansfield University. This simple question from my daughter, early on a Saturday morning, crushed me. Growing up without a father, I had vowed to spend as much time with my kids as possible -- especially when they were younger, when they really needed my guidance and time. But hearing that question and seeing the look on my daughter's face, made me realize I had to find a way to get my workouts done quickly and efficiently so they wouldn't impact the time I had for my girls. If you're in a similar situation -- constantly going at full speed while trying to be productive at work, spend quality time with your family and make progress in the gym -- you're probably beginning to feel that something has to give. And you're right. Often, it's just not possible to accomplish everything every day. But experience -- and science -- has taught me something else: Contrary to what you might have heard, you don't need to spend hours in the gym every day to get results. By modifying the way you work out and manage your time, you can achieve more than you thought you could. The first thing to do is forget about the programs that require four, five or six days a week at the gym. They just aren't necessary (for the general population). It's entirely possible to train, strengthen and progress in less time than those sorts of programs demand. If you're like most fitness enthusiasts, your workout probably consists of five to six upper or lower body exercises, with three to five sets of eight to 12 repetitions for each exercise. But you can increase the intensity and effectiveness of your training by making a few changes: Modify the number of reps you do for each set, decrease the rest period between sets, incorporate compound movements or increase the amount of weight you lift. "When time is limited, go for maximal intensity through some sort of interval training. Or use some sort of strength complex or circuit," says Nick Tumminello, personal trainer and owner of Performance University. By decreasing the rest period and incorporating compound movements -- exercises that use several muscle groups -- the workout intensity increases and so do the training effects. You'll burn calories not only while you're working out, but also after you've left the gym. A study published in the March 2002 issue of "European Journal of Applied Physiology" found that when the training group performed a high-intensity, short-duration workout with compound exercises, their resting metabolism was raised for 38 hours after the workout. As your strength endurance increases, you can go through the circuit two to four times. If you're a novice lifter, performing circuits with simple body weight, dumbbell or dynamic mobility exercises is the best way to build a solid strength foundation. 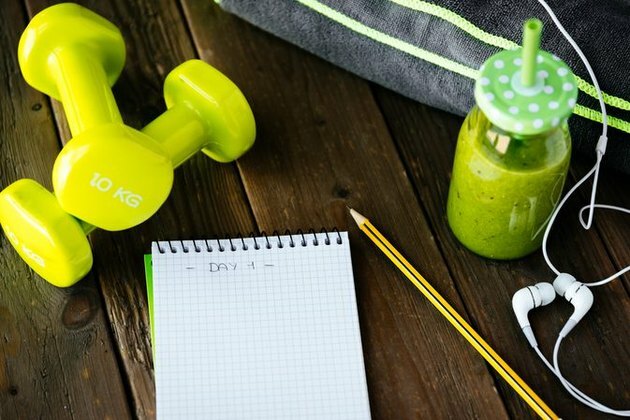 Once you start decreasing your time in the gym, you'll want to work on assimilating good habits into the rest of your day. This will help you maintain a healthier lifestyle and free up more time for your family. "Do a new task every single day for 21 days, and you've created a habit," he says, adding that the right habits "can change your life." To make myself accountable, I started a time log, writing down all of my activities for the day in half-hour increments. After keeping the time log for a week, I was able to identify "time wasters" that I could change or eliminate altogether from my schedule. I couldn't believe how much time I wasted checking email, messaging on the phone and doing other unneeded random activities. 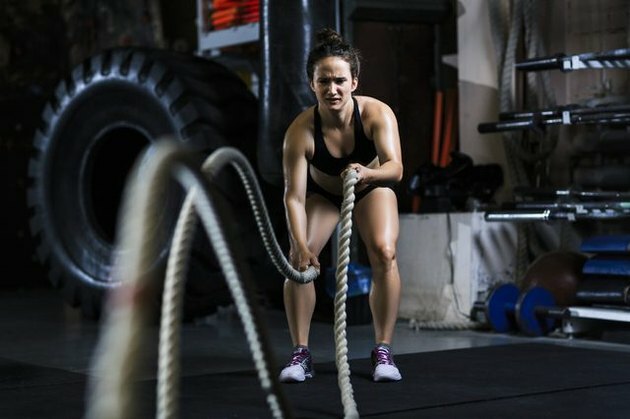 At this point you've decreased your time in the gym and eliminated your daily time wasters. Your next step is to write down where you are and where you want to go. Determine your personal and professional goals, but ensure they're attainable and measurable. The reason most people don't take action is that their goals are either overwhelming or not inspiring. So pick something you really want to do, and instead of setting your sights only on the long-term goal, write down the smaller tasks you need to accomplish on the way to the larger goal.